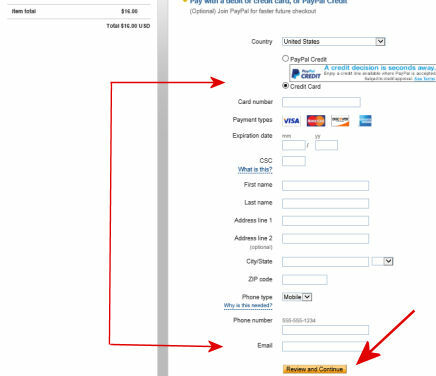 Note: Requires a US billing address for all purchases. 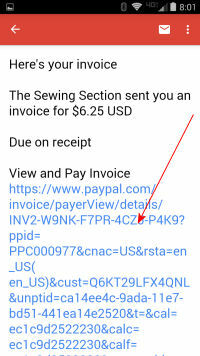 Step 1: Read the email message you received from The Sewing Section. 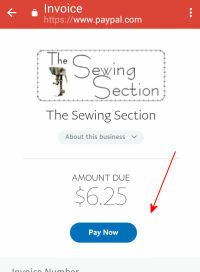 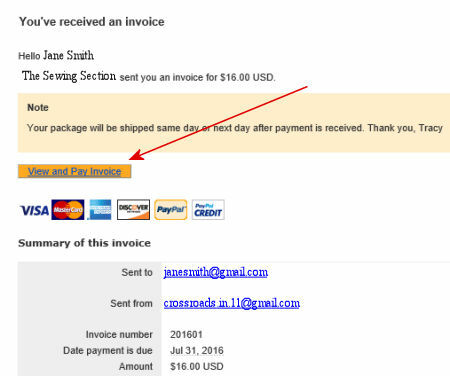 Then click on the button labeled "View and Pay Invoice"
Step 2: Read the web page that appears. 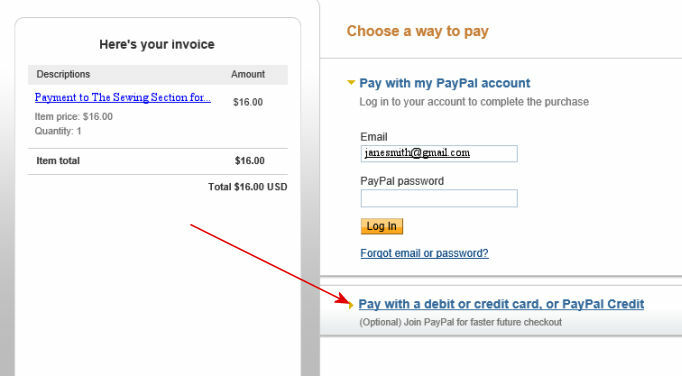 Then click on the button labeled "Pay Now"
Step 3: Review the information. 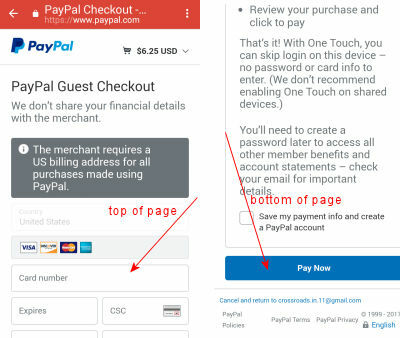 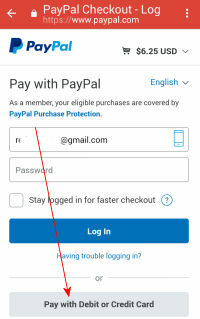 Then click on the link at the bottom right labeled "Pay with a debit or credit card, or PayPal Credit"
Step 4: Fill in all the required information to pay with your debit/credit card. 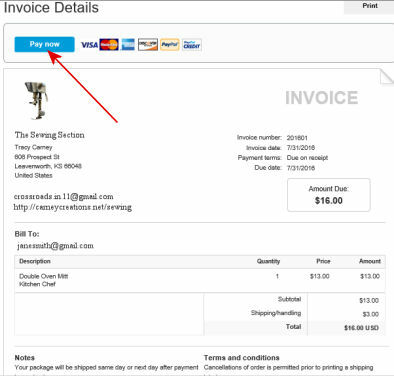 Then click on button labeled "Review and Continue"
Step 5: After you review the all the information and verify your credit card information, click on Pay Now to make your payment for the invoice.